Enjoy a walk in autumn around Walden Pond through the woods. Listen to the water below and the birds and planes above, the sound of the train rushing by and the highway traffic in the distance. It’s all part of the soundscape in the Walden Woods! This video also pauses to look out at the pond so you can take in the scenery and see all of Walden’s blue and green colors. Happy trails! Take a moment to sit by Walden Pond in the crisp fall morning and watch the mist slowly rising from the water as the sun comes up. Listen to the birds waking up in the dawn chorus, the grass whistling in the breeze, and the water lapping at the pond’s edge. This video was recorded at dawn (around 7 a.m.) on October 18, 2017. You may wish to watch the video with your eyes open, or occasionally close your eyes and let your ears do the work. Immerse yourself in the quiet winter at Walden Pond. Listen for bird songs competing with neighboring traffic, leaves rustling in the wind, the distant voices of hikers on the trails, and, my favorite, at the end: the sound of a blue jay singing and flying up into the branches of a tree. The sounds and images for this stop-motion animated video were collected in early February 2017, just after a snow storm. The soundscape at Walden Pond includes more than the pond itself: it includes the surrounding woods, marsh grasses, and even the train tracks nearby. 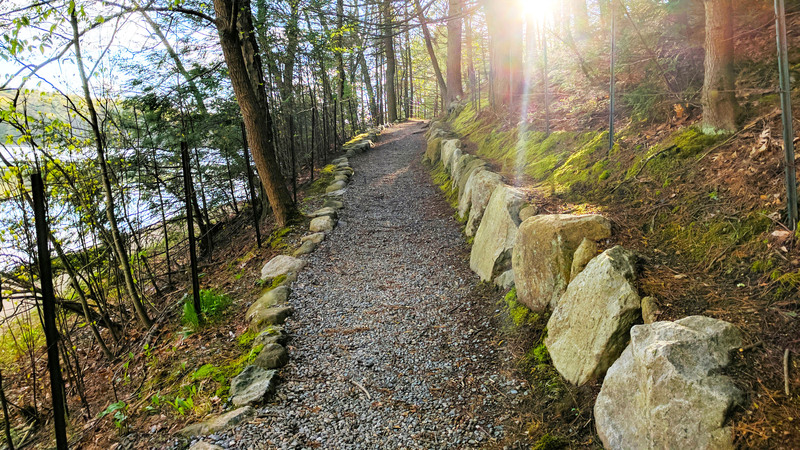 Listen to the dawn chorus in Walden Woods: hear all the morning song birds welcome the sunrise, the geese landing on the pond during their migration north, the squirrels in the leaves, the wind waving over the tops of branches, and the wings of a blue jay flying over the path. Notice the difference between winter and spring, how Walden comes alive after the snow thaws. The sounds and images for this stop-motion animated sound walk were taken just after dawn in May 2017. 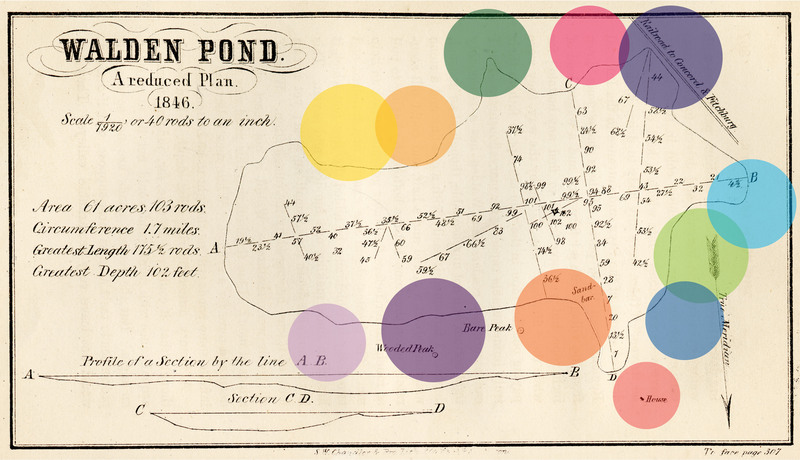 The original image beneath the shaded circles, courtesy of the Concord Public Library, is of Thoreau’s engraving of his survey map of Walden Pond. You can explore the soundscape at Walden Pond through this sound map. Just click on the image above to access the map and scroll down the left column to hear the sounds of birds and the trains passing at different points around the pond. Take a moment to listen to how long it takes for birds to resume singing after the train passes. Episode 1: What is a Soundscape? The Walden Soundscape project is part of my dissertation on the impact of sound and sonic vibrations on the American Transcendentalists, who were interested in maintaining harmony with nature (in a musical sense of active, reciprocal participation) and who understood music to be an experience not limited to the hearing world. My dissertation applies Sound Studies to literary works in American Transcendentalism, calling attention to Transcendentalists’ listening practices and their translation of political thought into a literary soundscape. Echoing Salomé Voegelin’s theory of listening as “reciprocal inventive production,” I examine the vibrational epistemologies of these writers and how music–human and nonhuman–played a role in shaping their understanding of humanity’s relation to the global environment and the universe. This year, I’m turning my chapter on Thoreau into a podcast with sounds from all four seasons interspersed throughout. Stay tuned! 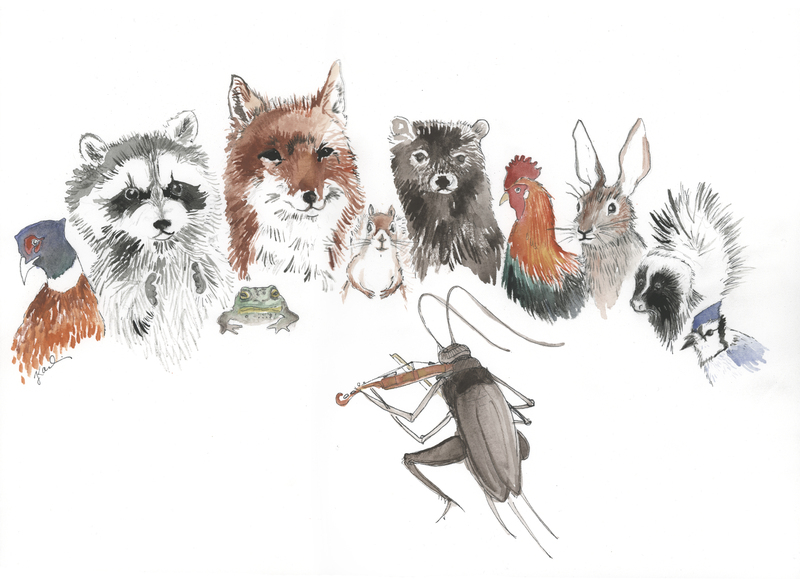 All of the beautiful featured artwork is by the amazing, talented Jojo Karlin. The Walden Soundscape has been awarded the Digital Dissertation Award and Dewey Digital Teaching Award from the New Media Lab. This project would not have been possible without the Ralph Waldo Emerson Society’s 2016 Research Grant, the New Media Lab, and the GC Digital Initiatives Provost’s Digital Innovation Grants (2016-17, 2017-18) from the Graduate Center, CUNY. I am ever grateful for this funding and for the support of my adviser, Dr. Joan Richardson.